survey | Unity and Ubuntu – Tweaks you must know! This post, Ubuntu Wants Your Opinion On Scopes and Colors, was written by Joey-Elijah Sneddon and first appeared on OMG! Ubuntu!. This entry was posted in Idea, scopes, survey, Ubuntu Phone, ubuntudesign on September 21, 2016 by unityadmin. Does open-source video editor PiTiVi need improving? If so, in what way? Those are just two questions that the team behind the tool are hoping you can help them answer. A short multi-choice survey is asking PiTiVi users, as well as those who would use like to use it, where they think development resources should be focused. Do you favour fancy effects over stability? Or would you rather have support for multi-camera editing and automatic audio sync? The team behind the editor hope that by asking the people who use the software what they want to see added will ‘help make Pitivi a better tool’ for all. Hit the link below to take the short survey. Answer as honestly as possible and when done be sure to pass the link on to anyone else you think would be interested. 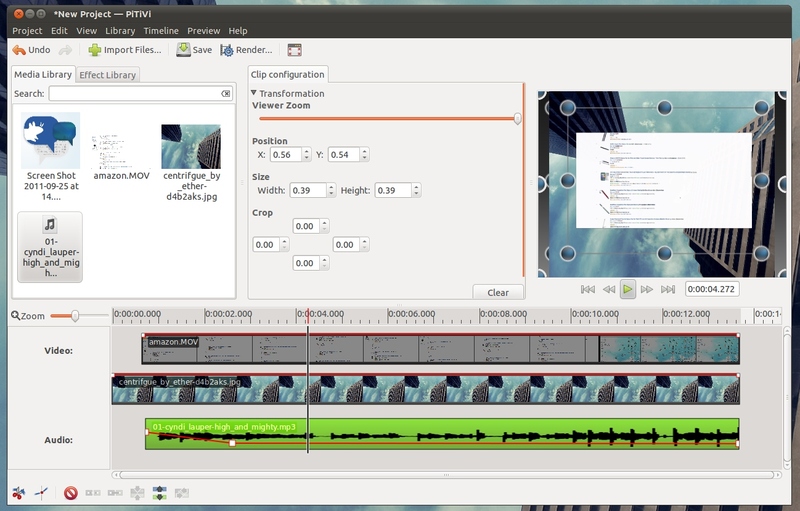 The post How You Can Help Improve Linux Video Editor PiTiVi Right Now appeared first on OMG! Ubuntu!. This entry was posted in News, pitivi, survey on June 26, 2013 by unityadmin.